The Aeroflex IFR ATC600A is a portable DME test set that is ideal for both ramp and bench uses. The rugged transponder/DME test set enables professionals to read XPDR code numerically. It also allows numerical reading of altitude. For field exercises that require measurement of transponder frequency, the Aeroflex ATC-600A offers users an excellent solution at a great price. It adeptly enables users to precisely check the DME channel. For precise measurement of transponder receiver sensitivity, the DME test set is the ideally suited solution for the test. It enables users to perform a variety of tests required by the FAA Regulations. It is also indispensable for a wide range of field measurements and tests. The design allows for both ramp and bench applications. If a situation or task requires, aviation test professionals are able to make both ground station and airborne environment simulations. The ATC-600A DME test set is also specially engineered to meet the latest ARINC design specifications, meeting or exceeding the standards of FAA regulations. Its transponder receiver sensitivity and SLS tests are in harmony with the requirements provided by the two regulatory authorities. It is necessary to carry out various transponder tests in order to determine transmitter power, percent reply, frequency, encoded altitude and pilot’s code. The Aeroflex ATC-600A transponder test set allows accurate range and velocity simulations DME testing. Technicians are easily able to carry out frequency, power and PRF measurements when specifically working with the DME testing process. 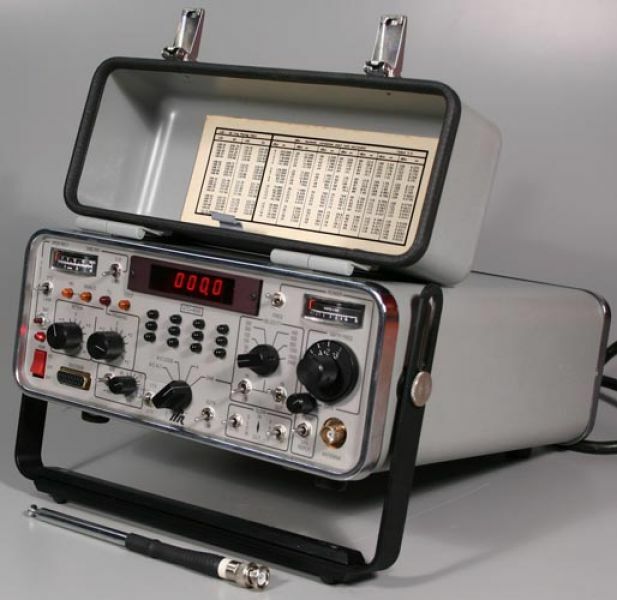 The ATC-600A DME test set is suitable for transponder receiver sensitivity measurements and SLS tests. It utilizes a remote tripod mounted antenna allowing accurate spacing from aircraft antenna. This makes it possible to carry out a variety of power measurements with ease. The revised FAA Regulations provide a set of mandatory tests, and the Aeroflex ATC-600A is capable of performing all of them with radiated signals. Users appreciate the ability of its advanced technology that allows for reading XPDR code and altitude numerically. It is also designed to display the corresponding binary pulse information for both code and altitude. By use of the transponder test set, the ATC-600A can adeptly produce precise measurement of transponder frequency as well as rapidly check the DME channel. The DME test set is also designed with a front panel connector that enables users to check the output of altitude encoders with ease. This feature is necessary for its marginal operation. For testing exercises that entail checking the XPDR second framing pulse to the first framing pulse (F1), the Aeroflex ATC-600A test set offers a easy to implement solution for the technician. If your requirements demand a portable, rugged transponder for either on the bench or ramp use, the reliable ATC-600A is a excellent solution It can adeptly simulate either airborne or ground station environments, and meet or exceed both the most recent ARINC type specifications, and SLS transponder sensitivity tests required by FAA regulations. Its ability to rapidly determine frequency, transmitter power, percent reply and embedded code make it a popular solution still today. Contact our staff for more information. This entry was posted in Site News and tagged Aeroflex ATC-600A. Bookmark the permalink.